Situated in rural Northamptonshire, adjacent to the world famous Silverstone motor racing circuit, Whittlebury Park Golf Club, and the adjoining Whittlebury Hall Hotel, is uniquely positioned to cater for both corporate clients and leisure guests. The highlight among the numerous sporting facilities on offer is undoubtedly the 36 holes of championship golf, comprising two 18-hole courses, which are handily divided into four nine-hole loops to offer a wide variety of golfing challenges to suit large groups and societies. Each course has a distinctive charm, with the Royal Whittlewood nine presenting a delightful combination of holes built around ancient woodlands and pretty lakes, while the Grand Prix course, whose holes are closest to race track, offers a stern test for the serious golfer, with two cracking short holes on offer. The 1905 course is renowned for its undulating greens, which place an emphasis on accurate approach play, while the Wedgewood course is packed full of challenging par threes and fours, and will reward good course management. Practice facilities include a 300-yard long, two-tiered driving range with 24 covered bays; two putting greens; practice fairway bunkers, and short game chipping area. For non-golfers there is a wide variety of activities, including archery, shooting and hovercrafting, while the stunning Atrium clubhouse is adjacent to the award-winning day spa and hotel. From £15 (Mon-Fri), £22 (Sat/Sun/Bank Holidays) for groups of 12 or more in the winter. A 10-minute drive from junction 15a M1 via A43, and 20 minutes from Milton Keynes on the A5. 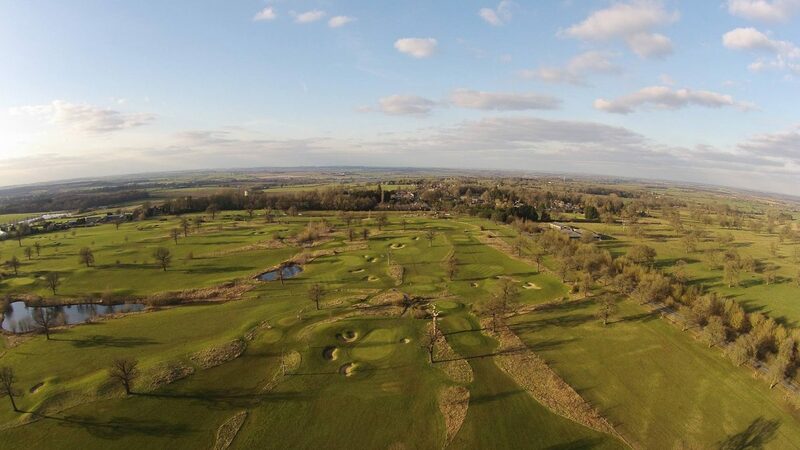 On-site Whittlebury Hall Hotel and Spa boasts 254 bedrooms and offers a variety of golf, hotel and spa breaks.